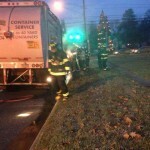 At approximately 6:45am this morning, Station 38 was dispatched to Haverford Road and Ardmore Avenue for a trash truck on fire. 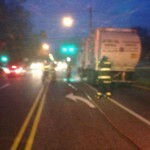 Squad 38 arrived on location to find a small fire in between the cab and the body of the truck. The crew from Squad 38 were able to remove the debri and extinguish the fire. 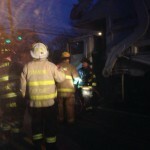 On scene were Squad 38 and Engine 38.